Click on a thumbnail to see a larger picture. Items will open in a new window. Simply close it to return to this page. 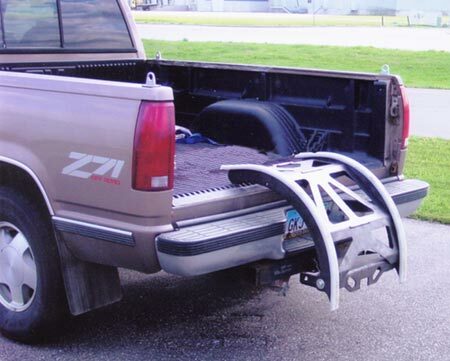 Our arc design is stable and strong. 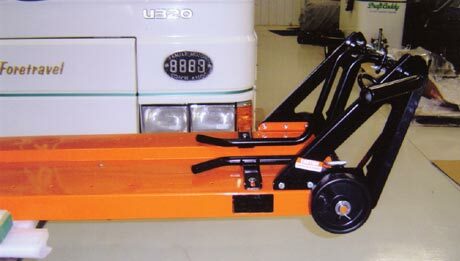 As shown by this lift and loader we built for a local Harley Davidson dealer, we can create custom lifts for your personal or business use. 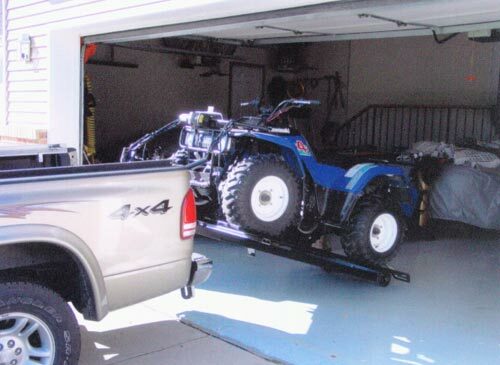 The uses of the TripleD Lift and Loader are endless! 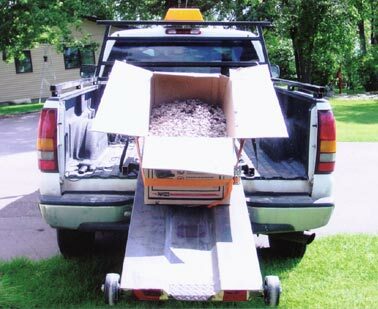 We used it to haul heavy rock. 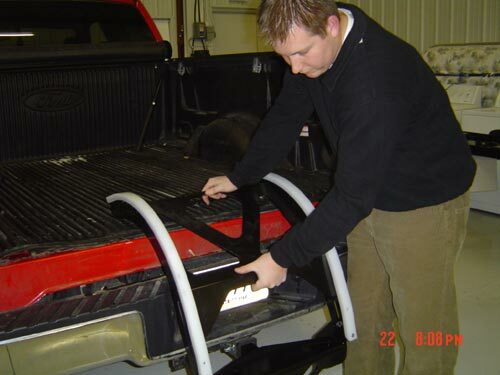 All pieces are powder coated for lasting durability. 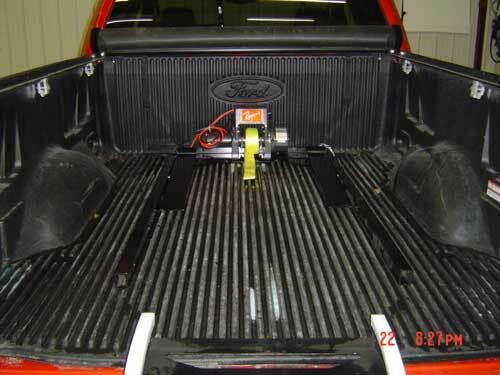 Installation is simple - all you need is a 2" receiver hitch. 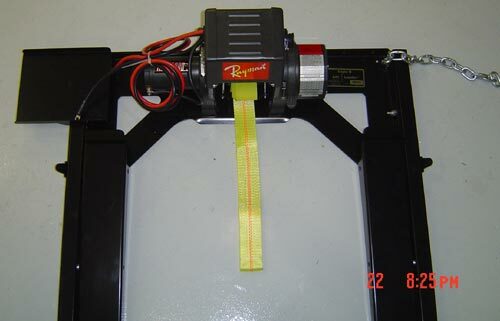 2" strap tested to 10,000 pounds on winch. 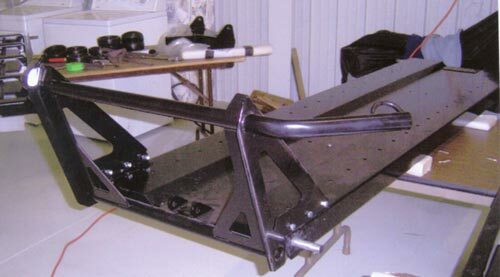 Adjustable to fit your bed length, height and width. One size fits all! 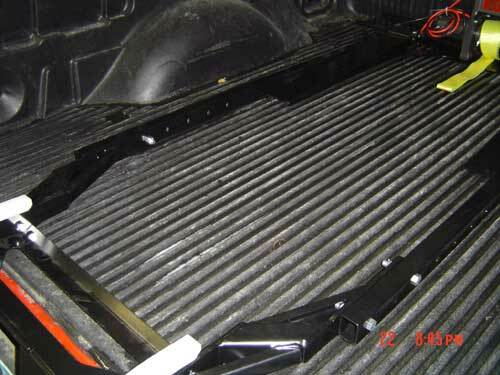 1 hour assembly requires NO drilling, cutting or welding. 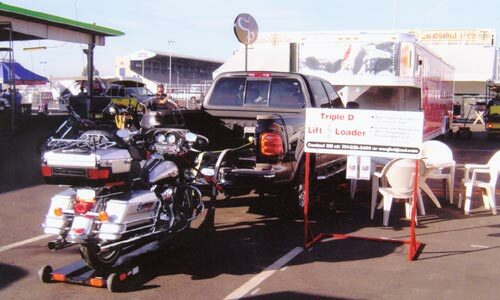 Use the Triple D Lift and Loader to load your ATV, motorcycle or most any heavy item up to 1,200 pounds. 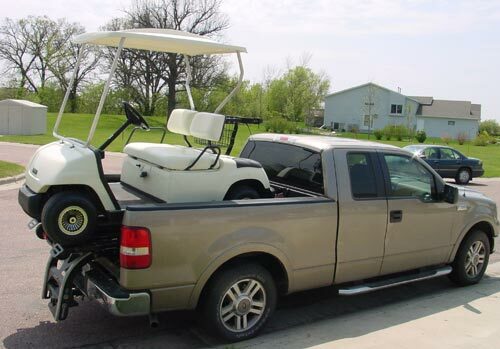 The Triple D Lift and Loader can even be used to load your golf cart!